Am I more interested in photographing wildlife or recording video? That’s the question I’ve asked myself for a little over a year now and in the last ten months I’ve found myself “shooting” more video then photographs. WOW! What has Canon done to me! By the way I still hear people use the phrase “video taping”. There is no “tape” when you are recording video with a digital SLR camera, all the data is recorded on the same CF or SD cards I’ve used for many years now. Therefore I prefer to use the term “recording video”. So why the new found interest in recording video? For starters I have become very enthusiastic about also recording audio. So by combining the two I’ve started to see (and hear) the natural world in an entirely new way. When I’m out “shooting” with other photographers I now do not want to be anywhere near them. I simply do not want to record some great video of a Marsh Wren singing and in the background you hear the “click, click, click” of a shutter on another photographers camera. Thankfully that’s somewhat easy to avoid,… just stay clear of other photographers. What is not so easy to avoid are all the other man made sounds that assault all of us on a daily basis even when we are in what we believe to be a “wild place”. For example (as posted in my last Blog) I have been recording the same video (and photo) of a scene from Mass Audubon Daniel Webster Wildlife Sanctuary in Marshfield at the end of each month for almost two years. Each month I try to record a minimum of 45 seconds without any man made sounds. That means no car horns, car alarms (when’s the last time anyone paid attention to a car alarm? Show of hands please. That’s what I thought, no one!) lawn mowers, leaf blowers, snowblowers, dogs barking and the biggest offender planes flying by! In Eastern Massachusetts this is not easy to do and at best I have been able to get just over one minute before an unwanted sound causes me to end the recording. Don’t believe me? The next time you are at your favorite state park, refuge or Audubon Sanctuary just stop and see how long before you hear your first man made (or not natural) sound. For this Blog I have three new videos I’ve posted on YouTube. Click on the photos to see each video. The first is an interesting look at a Box Turtle and Spade Foot Toad. 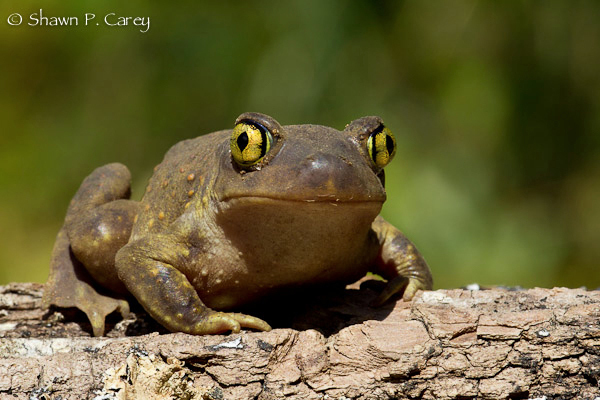 As a side note on the Spadefoot Toad, this is a species I have been trying to photograph for over ten years. It just so happened there was a Spadefoot at Mass Audubon Wellfleet Bay the week I was on vacation this past August and finally I was in the right place at the right time! The second video shows the Goose Pond at Mass Audubon Wellfleet Bay Wildlife Sanctuary also recored the week I was on vacation. I spent each morning from sunrise until about 10:00 AM sitting in the observation blind at Gooses Pond or my personal photo blind. 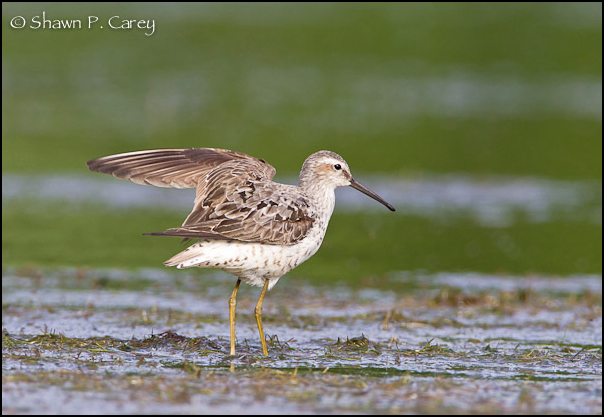 I was able to record video of both Lesser and Great Yellowlegs, Semipalmated Sandpiper, Least Sandpiper, Spotted Sandpiper, Eastern Phoebe, Kingfisher, Snowy Egret, Green Heron and this Stilt Sandpiper shown below which is not a bird we see often on Cape Cod. Click on the photo below to view this video. The final video was recorded over about a two week span at Great Meadows National Wildlife Refuge in Concord, Massachusetts back in May. This is the best time to see, photograph and now video for Marsh Wrens. It’s also a good location and time of year for Red-winged Blackbirds. With both species being so vocal this made for some nice audio along with the visuals. I hope you enjoy these latest videos and please see links below for some of my earlier video posts. Take care and remember to get outdoors enjoy it and help protect wildlife and wild places. 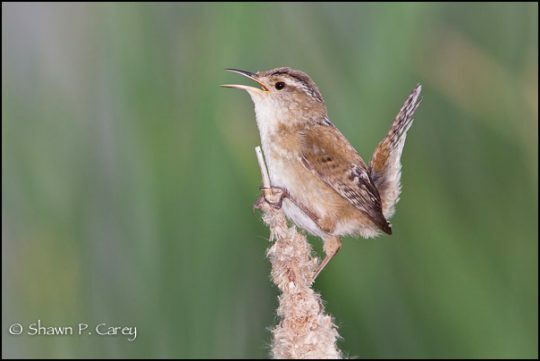 Marsh Wren, Great Meadows National Wildlife Refuge, Concord, Mass. Turtles, Presque Isle State Park, Erie, Penn. Take care and please help to protect the natural world.